Data in its raw collected state has very little use without some sort of processing. No matter how good the data is, without analyzing it in the most effective manner, you won’t be able to extract quality information from it. Analyzing data using the best statistical testing tools has become a major concern for every doctoral candidate who is working on his/her research project. Looking at the growing demand for best statistical tools, more and more statisticians have started offering innovative means of analyzing data that has been collected for the research project. Out of these latest tools and techniques used for undertaking data analysis, Excel has emerged as one of the most successful software tools. Excel provides more than 1000 functions relating to the probability and statistics used in a research document. This software tool is used for constructing a wide range of charts and graphics for displaying data that has been collected for research purpose. 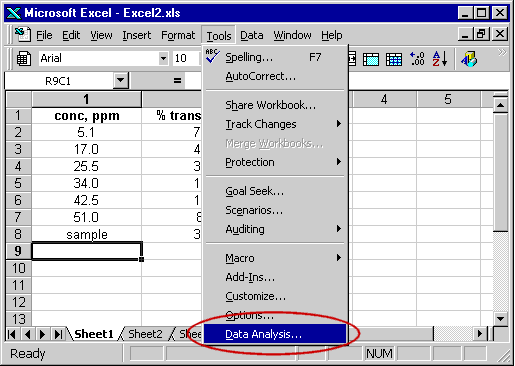 Excel has an Analysis Toolpak optional “add-in” facility that includes macros used for carrying out many elementary statistical analyses. Nowadays, almost all the newly purchased computers come with an already installed Excel software tool. This tool can be effectively used for performing a variety of calculations including a collection of statistical functions. The tool also comes with a Data Analysis ToolPak. Although Excel has not been mainly designed for data analysis purpose, but it definitely contains features which are best suited for analyzing huge chunks of data collected for preparing the research document (thesis/dissertation). Making an intelligent choice among various statistics data analysis tools is tough, but with Excel you need not look any further. This tool has features which actually ensure the 100% effective data analysis using the concept of statistics.